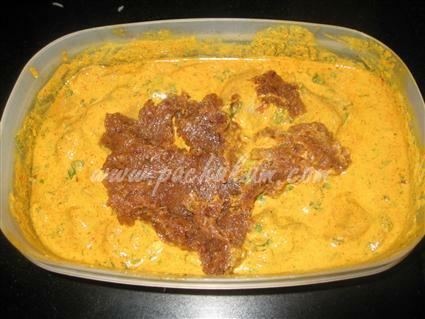 Marinate the mutton the day before with raw papaya paste, garlic-ginger paste, turmeric powder, coriander powder, cumin powder, spicy red chili powder and salt and leave in the refrigerator. 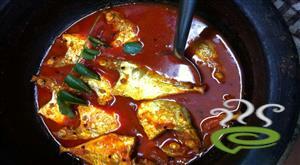 :- The marinade should be slightly salty. 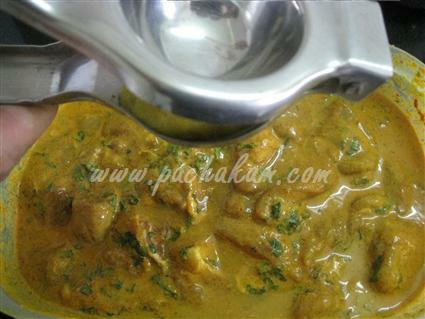 To the marinated mutton, add curd, ½ the chopped mint and coriander leaves and juice of 2 lemons. 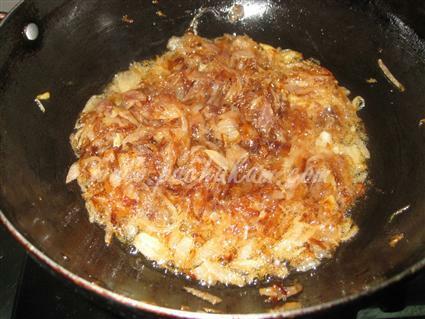 Heat 1½ cups of oil in a kadai and fry sliced onions till golden brown. 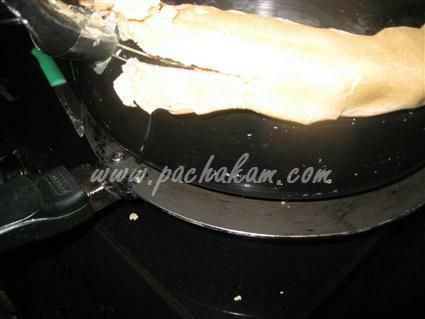 :- Don’t over fry them. 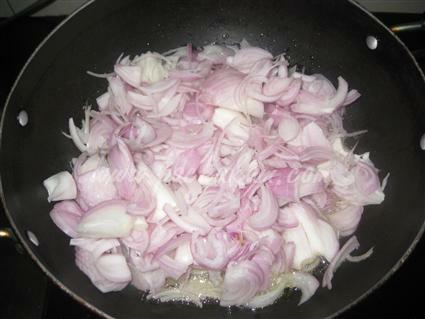 When cool, grind ¾ of the fried onions to a paste. Keep the rest aside for garnishing. 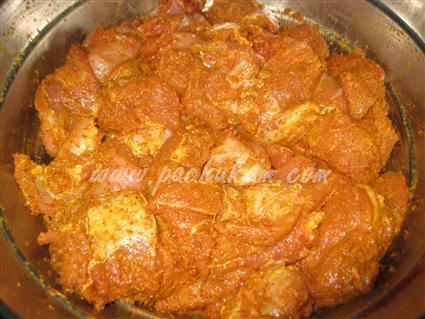 Add the onion paste to the marinated mutton and mix well. 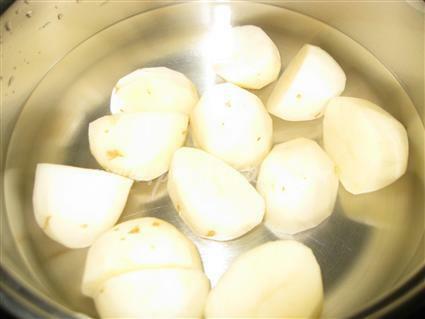 Boil the potatoes in a pan for 20 minutes. Drain and keep aside. 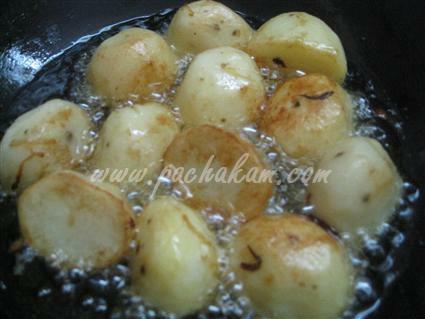 Use the same oil in which the onions have been fried and fry the potatoes for 1 - 2 minutes till they turn golden brown. 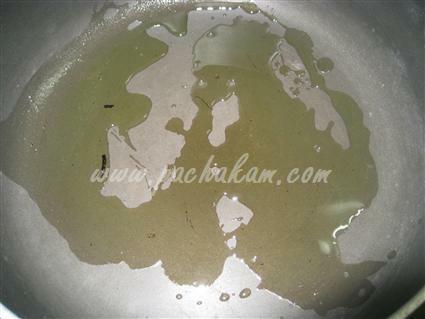 Remove from the oil and keep aside. Wash the rice. 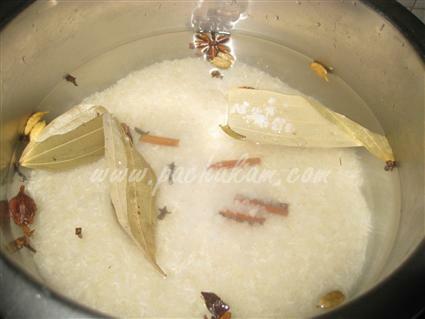 Add water, whole garam masala and salt and bring the water to a boil. 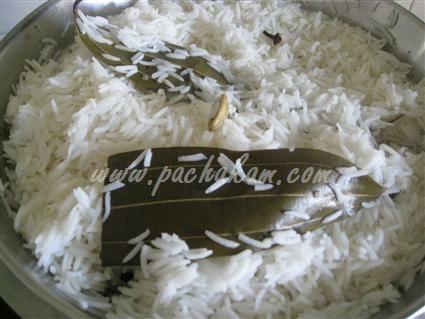 :- The rice needs to just fluff up and will feel raw when you touch it. 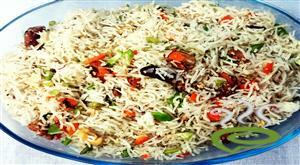 Drain off the water in a colander and keep the rice aside to cool. 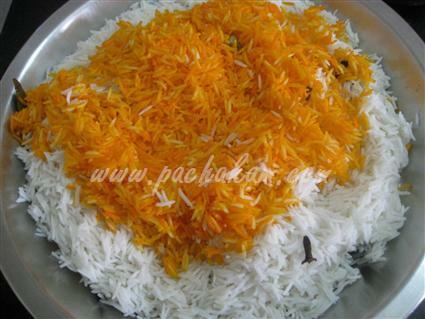 Take a small bowl of the rice and mix it with the orange color. 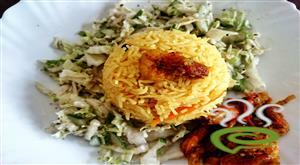 :- This is an optional step. 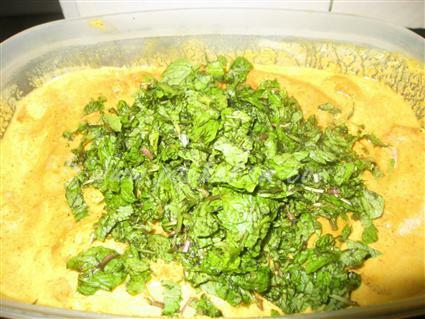 Mix this with the remaining white rice and mix well. 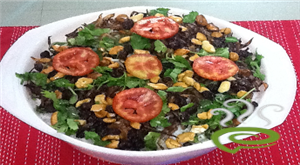 Add the remaining mint and coriander leaves to the rice and mix well. 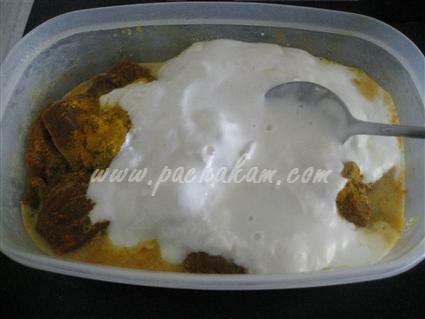 Heat the saffron and crush it into a powder and mix with ½ cup milk. 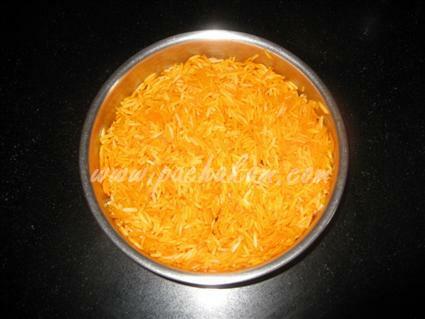 :- Use color if you do not have saffron (optional). Heat 4 - 5 tbsp of oil in a 12” pan. 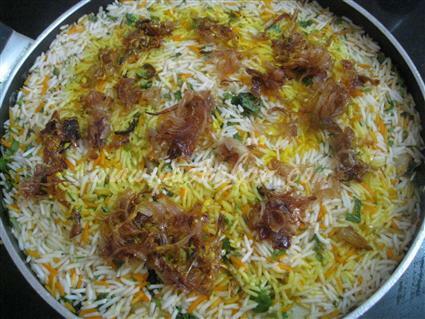 :- Use the oil in which the onions have been fried. 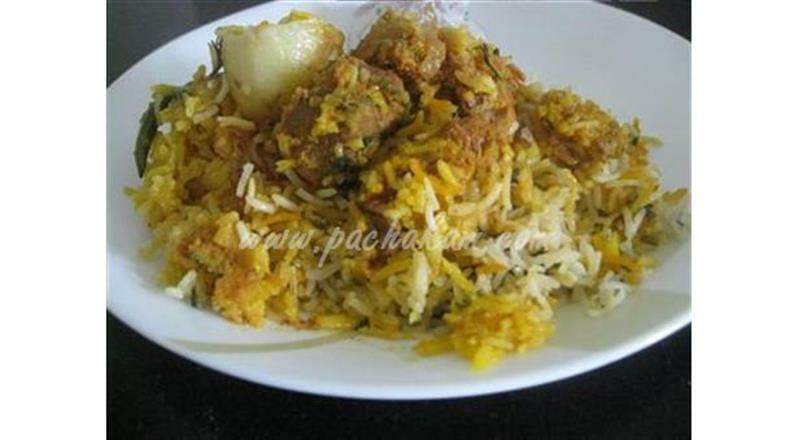 Spread the marinated mutton in the pan. Add whole green chilies (optional). 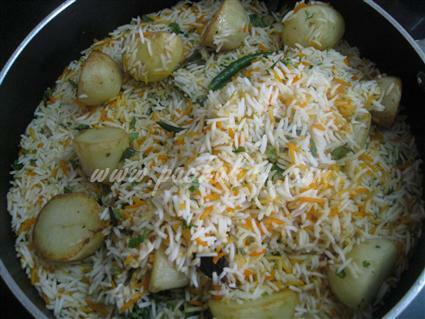 Spread half of the prepared rice on the mutton and spread the potatoes and whole green chilies on top. 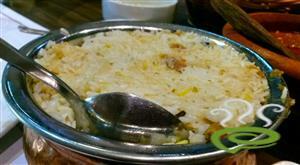 Layer the remaining rice on top of the potatoes and garnish with fried onions. 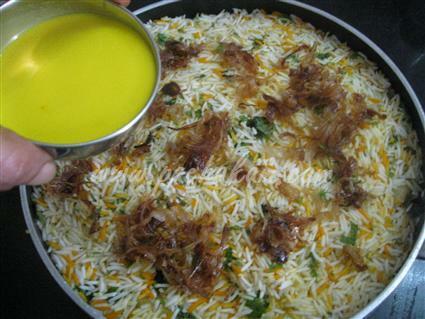 Pour the saffron milk and ½ cup oil on top of the rice. 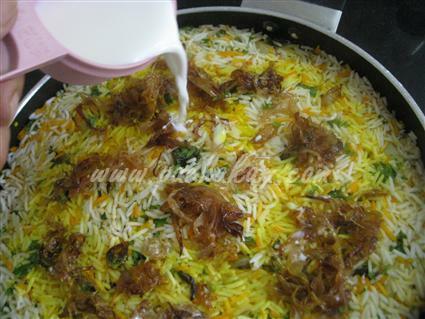 Pour ½ cup plain milk on top of the rice. 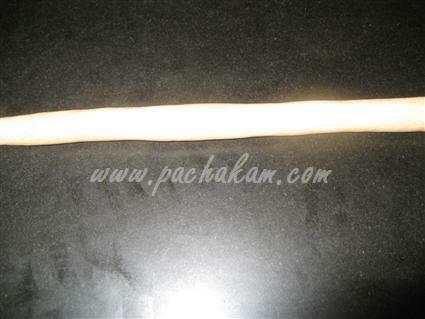 Roll the atta into a thin roll. Seal the pan with the atta. 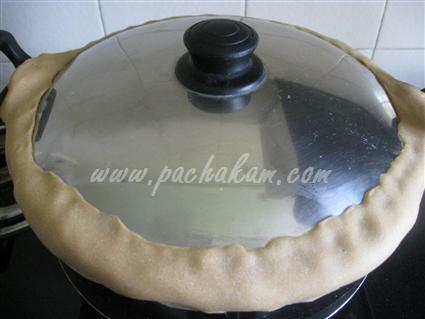 Place the pan on top of the tava and cook on low flame for 70 - 75 minutes. 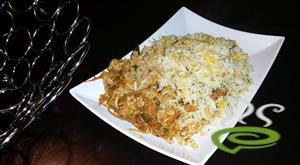 When the atta becomes hard, the biriyani is cooked. 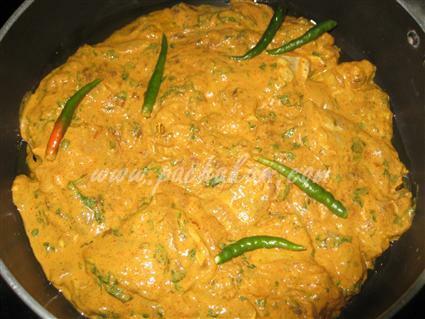 :- Serve with onion raita. 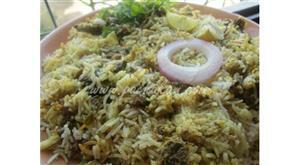 MalaHi, Marinate the mutton overnight. 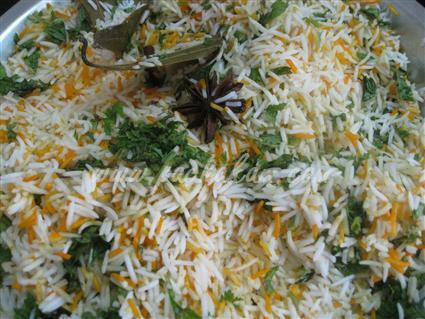 The raw papaya in the marinade will tenderize the mutton so you can add raw marinated mutton with the rice. 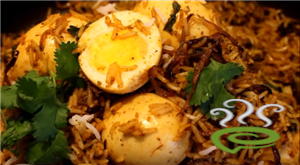 Cook it on a low flame with the vessel placed on top of a tawa.